When I was growing up, my family sustained itself a great deal through food we harvested and processed ourselves. We shucked corn, ground horseradish, and picked apples. Our small backyard in St. Paul, MN was a large garden whose harvests became pesto, pickles, and salsa. This is how Philadelphia Community Farm not only found its way into my heart, but was a part of shaping it as well. I left home and began to travel, on a mission of my own to learn to make the strongest possible performances I could make. This journey led me to Central and South America, down the Mississippi River, and from Coast to Coast, where I ultimately found an artistic home at Double Edge Theatre. 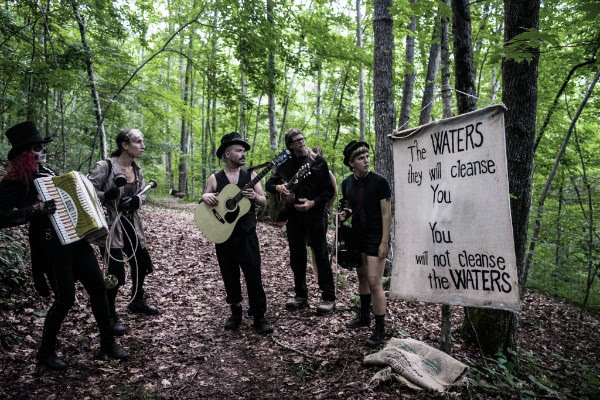 Over the course of four years (2012-2016) I composed and directed The Wastelands, with Katie Burgess and a collection other artists known as Children of the Wild. Yet Katie and I always knew that we would return to the Midwest; never a moment has passed in which the forests, lakes, and rivers as well as family (both chosen and by blood) were not calling us back. When we completed our Great Lakes tour of The Wastelands last fall, we began to look for possible places near the Twin Cities to make our home. I remembered this farm from my childhood where I first felt what it means to have my survival connected to the earth. Katie and I discovered with amazement that what we were looking for Philadelphia Community Farm was willing to offer. We wanted a rural base to make our work, foundational as it is for our practice; they were looking for cultural events to happen at the farm, foundational as they are for the community they’re building. 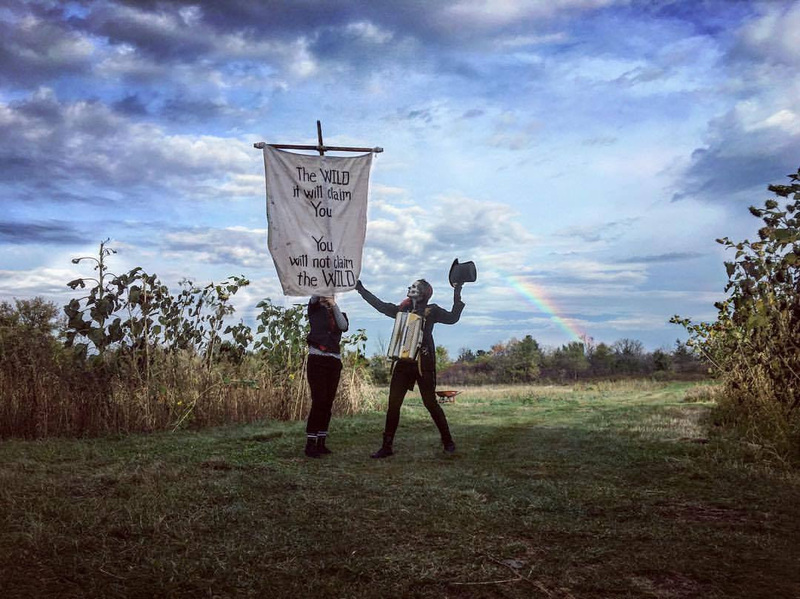 Therefore I’m thrilled to announce, in the joy of this shared dream, that in June of this year 2017 Children of the Wild has become Open Flame Theatre and is now in residence indefinitely at Philadelphia Community Farm in Osceola, WI one hour outside of the Twin Cities on the eastern bank of the St. Croix River. 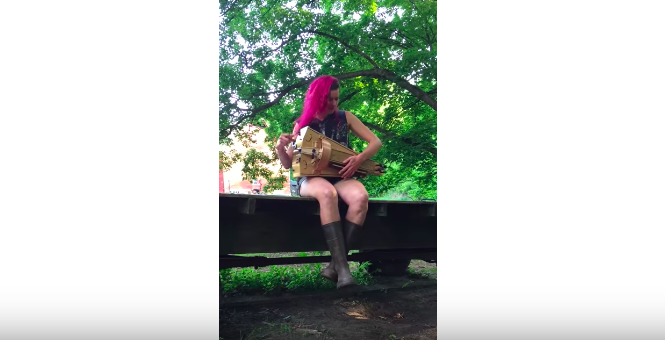 Philadelphia Community Farm will be a home and theatre laboratory for Open Flame as we develop our next performance The Garden (to premiere in 2020). 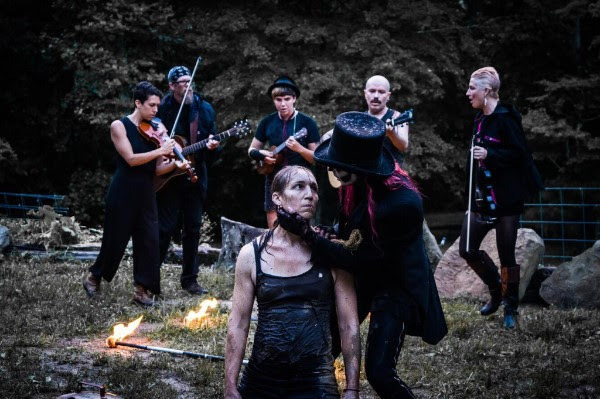 The residency will include Open Flame ensemble members, students, and collaborating artists volunteering at the Buttermilk Falls CSA & Folk School, both projects at Philadelphia Community Farm integrating biodynamic agriculture, holistic education, and spiritual enrichment. For Open Flame, this transition is both the beginning of another adventure and an adventure in and of itself. This email is an invitation for you to be a part of it, as we uproot from the hills of western Massachusetts and transplant ourselves back to the Twin Cities and to the St. Croix River Valley. With these simple words Katie and I invite you, our friends, our family, our community, collaborators, colleagues and comrades to join us in this new phase of our journey. As a child, I remember wading across the St. Croix and the irrevocable feeling that I would be swept away forever were it not for the loving hands that held my arms so my feet could find the shifting ground. Let us continue to find our footing together, within the current, from bank to bank.